TP: The Art Ensemble of Chicago is in New York this week at the new Knitting Factory, 74 Leonard Street, their first New York appearance in a number of years. I'd like to welcome Lester Bowie and Malachi Favors from the Art Ensemble to the WKCR studios. How long has been exactly since the Art Ensemble has worked in New York City, Lester? Do you recollect? BOWIE: It's been quite a few years. At least three, no? FAVORS: Oh, no. It could be four or five. TP: It's probably been about that. I think the last time maybe you were at Town Hall or something. TP: Has the Art Ensemble been very active, slightly active, moderately active in the last few years? BOWIE: You could say we're moderately active. We're not overwhelmed with work. But we've been working enough to survive. That's about the story of our lives. TP: Of course, everyone in the Art Ensemble has taken on individual tasks and preoccupations outside the Art Ensemble. Malachi, you live in Chicago, and people in New York don't get to hear you nearly enough. What's going on in Chicago right now? Last July when I was there it seemed there was a pretty active scene. FAVORS: Oh, yeah. There's quite a bit going on in Chicago with the AACM. We're coming up on our thirtieth anniversary, so we're preparing for that, and in the meantime we're doing concerts around the city. Maybe in July when you were there, you were just there at an inopportune time. TP: Well, I just missed a jam session on the night of July 4th at 66th and King Drive which I thought wouldn't be happening that night, because it was July 4th, but indeed it did happen, and I was disappointed in myself. FAVORS: Yes. And I was there. TP: Yes, I had heard! Lester and Malachi just got here, and we'll get into the interview portion a bit later. Let's hear some very recent music which hasn't been heard publicly. It's the Art Ensemble of Chicago with a symphonic orchestra. That's all I know about it. Lester? BOWIE: Well, it's a project we did last year that ended up being a documentary on German TV. It was a collaboration with the Civic Orchestra of Bremen, Germany, which was just forming. They were just moving from Frankfurt to Bremen. They're called the Deutsche Kammerphilharmonik. They were just moving to Bremen, and this was their first project as the official civic symphony. TP: Were the arrangements done with the Art Ensemble? BOWIE: The program consisted of six pieces. Four of the pieces were Art Ensemble greatest hits, so to speak, and the one piece from a German composer, I forget his name, Wilfred Donner maybe, and the other piece was by two Austrian composers. TP: For the Art Ensemble. BOWIE: For the Art Ensemble. Everything was written for the Art Ensemble and this orchestra. The arrangements for the Art Ensemble and the orchestra were by Earl McIntyre, who is a very great arranger living here in New York. TP: Who has worked with you quite extensively in Brass Fantasy. BOWIE: He works with us in many capacities. He's a great musician. TP: I'd like to go back and discuss the origins of the group. It's been 28 years since Roscoe Mitchell's Sound came out, featuring Lester and Malachi. Malachi, when did you first meet Roscoe Mitchell? You're really the first two of the five members of the Art Ensemble who hooked up. TP: What were the circumstances? Were you at Wilson Junior College at that time? FAVORS: Yes, I was at Wilson, and Roscoe was also at Wilson. I don't remember... I think it was a musician that I knew named Teddy, he got married, and Muhal Richard Abrams was at the wedding, and Roscoe came in and they played some, and I asked Muhal who was the man playing the sax, and he told me it was Roscoe Mitchell, and he introduced us. So I came into contact with him at Wilson Junior College. TP: You mentioned a couple of things that make me want to ask some more questions. Now, you knew Muhal Richard Abrams at that time. You were a working musician around Chicago by the early 1960s, weren't you. TP: Talk a bit about your background. I think you'd been active through the 1950s in the clubs and venues of Chicago. FAVORS: Well . . .
TP: Somewhat? A little bit? FAVORS: Somewhat. During that time there was a lot of entertainment going on in Chicago, a lot of clubs on the South Side, and they needed bassists, pianists, and . . . I was on call. I was just beginning. And when they couldn't get this bass player or that bass player, I would get a job on the weekend. There were so many clubs. TP: That's how a lot of musicians got started. TP: Milt Hinton wrote that he played a couple of years getting the call on the weekend, and then it gradually built up. FAVORS: Yes, that's the way it happened. TP: There's a recording with Andrew Hill in the late 1950's. TP: Were you two involved in a trio as a working, regular situation? FAVORS: Yes. I don't remember how Andrew and I met. TP: Andrew played organ on a Von Freeman record from the early 1950's that you're reputed to be on . . .
TP: You don't know about that? FAVORS: No, I don't know about that. TP: You're reputed . . .
FAVORS: Anyway, I hooked up with Andrew, and we stayed together until Andrew left suddenly and came here to New York. TP: What type of places would you be playing in? What were the clubs like? FAVORS: At the time, smaller clubs would have maybe three or four pieces, and a singer who could sing the blues and pop, and maybe a shake dancer (we don't see those any more). That's what the clubs were like. It would take me some time to collect my thoughts on it; it's so long ago. TP: I know that one of your major influences on the bass was Wilbur Ware. FAVORS: Wilbur Ware, Oscar Pettiford . . .
TP: But Wilbur Ware was in Chicago. So I gather he had a very direct impact. TP: Talk about them a little. In a previous conversation you mentioned having gone to him and studied with him a little bit. FAVORS: Well, I studied with him as far as I could. You know, Wilbur Ware didn't read. He generally played by ear. So you just had to pick up from him by listening to him. He was just a born musician. He had the talent . . . It's just unexplainable. He didn't read. He could tap-dance, play drums, and that was it. And when I heard him, he just blew me away. TP: How about Israel Crosby? FAVORS: Israel Crosby was another bassist . . . Well, there are so many bassists that I like. Oscar Pettiford . . . I saw Oscar Pettiford before I ever knew Wilbur Ware. We had a theater like the Apollo here in New York -- the Regal. FAVORS: Mmm-hmm. All the big bands used to come there, Duke Ellington, Count Basie, Earl Hines, Satchmo, and Cab Calloway, who just recently died -- and I would go in . . . Duke always would have these great bassists with him, and I just liked the bass. But when I saw Oscar Pettiford with Duke, that just blew me away. From then on, you know, I got a bass and tried to learn, and that's when I ran into Wilbur Ware. TP: So seeing Oscar Pettiford made you want to be a bass player. TP: Were you playing music at that time? FAVORS: No. No, I wasn't playing music at that time. I was in a little quartet, you know. TP: There were a lot of those around, too. TP: Talk a little about your early musical education. Was it in high school? Was it private lessons? Was it being self-taught on gigs or just picking things up? FAVORS: Well, picking things up, and you know, from different musicians like Jodie Christian and Wilbur Ware. I'd go around buying books. And I was told I had to learn the chord changes, so that's what I did. I used to carry the scales around with me and that sort of stuff. The only schooling I had was when I went to Wilson Junior College for about a year. TP: And then you were in your 20s already, I take it. TP: You also worked with the King Fleming Trio. He was an important figure in Chicago. FAVORS: Right. 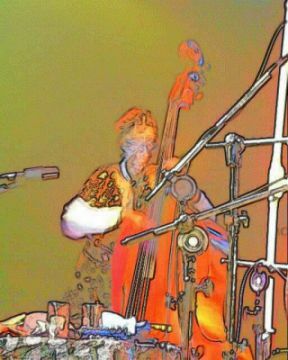 After Andrew Hill I worked in the King Fleming Trio. TP: He had a big band, he played trios. Talk a little bit about his style and approach to music. FAVORS: Well, I didn't know him when he had a big band. I only knew him, I worked him maybe a couple of years. Two or three years I worked with him. After working with him came Roscoe. No, I worked at O'Hare a couple of years, and then I met Roscoe. It's hard to piece all of this together. TP: What was Roscoe Mitchell into when you met him? What was he sounding like? What sort of things was he exploring? FAVORS: He sounded like Bird to me. TP: Elaborate on that a bit. FAVORS: Well, he's quite different now in that he's found himself. But I was quite impressed because I heard a Bird sound coming out of him. TP: When did you start hooking up with him for concerts or performances or rehearsals? FAVORS: It was between '63 and '64. I think we had our first concert in 1964. It was with Alvin Fielder and Fred Berry, trumpet, Roscoe and myself. TP: Was playing with Roscoe your first experience with extended structures and new music and so forth, or had you been working in those areas before? FAVORS: I played a couple of gigs with Sun Ra. And I saw this African ballet group, and that turned me on to the Africanism in music. I kind of got into it with Andrew Hill. But in meeting Roscoe in the so-called "free" music, I just opened up. That's what was happening. TP: You knew Muhal Richard Abrams at this time, too. TP: Had you played with him, or were you working in extended situations with him? FAVORS: No. I knew Muhal, but we never really had worked together. TP: Then I guess the Roscoe Mitchell group kept playing and developing the music for several years. Did you join the AACM when it first was chartered in 1965? FAVORS: Yes, I am an original member. I'm not a founder, but I'm an original member of the AACM. TP: Were you also going to the Experimental Band rehearsals and concerts before the AACM was officially chartered? FAVORS: No. I went to a couple of their rehearsals, but I didn't stick. Because at that time I was married, and trying to go to Wilson Junior College. TP: And work and make a living and the whole thing. TP: So it was hard to do that. TP: But your impression of the type of music that they were doing struck you as the way you wanted to go. TP: Well, in 1966 Lester Bowie came to Chicago from St. Louis, and I guess off the road as well. Talk about the circumstances that brought you to Chicago and your first encounters with the AACM. BOWIE: Well, '65 I believe was the year I came to Chicago. We recorded in '66, but we were playing together before that. I was in Chicago quite a while before I knew any members of the AACM. TP: What were you doing? Arranging, working in blues groups? BOWIE: Well, my wife had gotten a hit record. Fontella Bass was my first wife, and one of her records was starting to hit. I don't think it was "Rescue Me." It was something else. Anyway, I was hanging around these companies like Brunswick Records. I just did a lot of sessions. And of course, playing around with bands. George Hunter was one big band I played with. TP: He'd had a big band for about 20 years ongoing in Chicago. BOWIE: Yeah, he had a band for quite a while. TP: How did you find the scene in Chicago when you got there? Was it satisfactory? Not satisfactory? Were you looking for something different? BOWIE: Well, when first got to Chicago, like I said, I was on the rhythm-and- blues scene and on the studio scene, and I was getting bored actually. There was nothing really happening. I mean, I always had wanted to be a jazz musician, but I had been doing a lot of r&b, and you know, I did a lot of things to survive. So one of the fellows who was with George Hunter whose name was Delbert Hill, he played baritone, he knew I was getting bored, and he said he knew a band that rehearsed that I may find a bit more interesting -- and it was the Richard Abrams Experimental Band. I went over there for a rehearsal one day and that was it. TP: You've been quoted several times as saying you ran into a bunch of people who were as out as you were! BOWIE: Yeah, I saw all these maniacs in the same room. It was quite unsettling there for a while. But it was like I was at home. I mean, you've got so many of these complete, like, eccentric individuals, but playing together and really doing some different kind of music. I found it quite exciting. TP: Now, had you been exposed to this type of music at that point in playing it or listening to it? I mean, were you listening to John Coltrane or Ornette Coleman? BOWIE: Oh, yeah. No, we'd been into that sort of thing, into Ornette and that whole scene in St. Louis, playing it for years before, playing it with different types of groups. Because you know, we never could find enough guys to play, so we'd be out in the park with two saxophones and a bass and a drum and a trombone and a trumpet. So we were used to playing in that sort of thing long before I came to Chicago. TP: Malachi, were you were checking out John Coltrane, Ornette Coleman, and the whole . . .? TP: Did you go see them when they played in Chicago? TP: And it impressed you the same way that, let's say, hearing Roscoe impressed you? FAVORS: Oh, yes. Most definitely. TP: When did you first encounter John Coltrane musically? FAVORS: Well, when he was with Miles. TP: And he caught your ear then, coming through Chicago? TP: How about Ornette Coleman? FAVORS: I just heard him on recordings, and he caught my ear. At first I listened and I said, "Mmm, this guy is doing something here," and then finally he just warmed me, you know. TP: I think he came through Chicago in '62 or something at the Sutherland. FAVORS: I think I saw him. I think so, if my memory serves me right. TP: Can either one of you describe what a rehearsal session of the Experimental Band or later the AACM Rehearsal Band would be like? Would someone be assigned to bring a composition in from the previous week, and then everyone would play it? How was it set up? BOWIE: Well, I don't remember it being that formal. It was just the guys brought in music, and we just played it. I mean, it was like just a normal rehearsal, like any other band, except the music was a bit different. But we just all came and met, and they passed out the charts, and then we would run through . . . Let's say in a particular evening there were five or six charts we would run through, from Braxton or from Muhal or whoever. TP: Would Muhal's charts, let's say from 1965, be similar to let's say charts from the early 1980's or the present? Allowing, of course, for his development and growth. BOWIE: Well, we're talking about the early '60s now, the early and mid '60s, and of course, they were quite different then. I mean, it was interesting music. Muhal is one of the great composers and arrangers. It was really exciting. And the thing that's really so nice about the AACM -- you had all these individuals. I mean, you had Threadgill's music, you had Braxton's music, Roscoe's, Joseph's. I mean, it was just unbelievable, the difference in the approaches. So they were all really very fresh. We weren't really everyone coming out of the same thing. TP: I think in Chicago it's always been one of the precepts for jazz musicians that you have to have a different sound, something to really distinguish you from everybody else. If somebody's doing this, then you have to do something else. Is that true? BOWIE: Well, that's true not only in Chicago and St. Louis. That used to be true in the music. I remember reading something Max Roach said that Jo Jones told him [Sic: Lester Young], and that was that you can't join the throng until you sing your own song. And that's not something that was unique to Chicago; that was a basic tenet of the music. TP: So what were you looking for in 1965? In other words, Lester, you were a trumpeter influenced by Kenny Dorham and Miles and Don Cherry and so forth. Had you found a direction as an improviser, or was that something that encountering the AACM helped you to grapple with? BOWIE: I had found my way as far as I had found an approach that I was taking. But the AACM just opened me up. It was the first group outside of my buddies in St. Louis where I could really play like that. TP: Who were those buddies in St. Louis? BOWIE: Hemphill and Philip Wilson and Lake. We would be playing like that. Outside of St. Louis, I couldn't play like that anywhere else. But that's why I was so excited about meeting the AACM, is because I could really expand, I could really open up. With Roscoe's band, I could just really open up and be myself, which was kind of a multi-faceted sort of approach. TP: So did Roscoe immediately ask you to start working with the group? BOWIE: Oh, yeah. You know, I sat in, and Muhal put the music down, and so I had to take a solo, and then after I took the solo everybody wanted my number, and by the time I got home from the rehearsal, Roscoe was calling: "Come on, man, let's get a band!" And we started rehearsing. We were like rehearsing the next day! TP: Malachi, what was your first impression when you met him? FAVORS: I didn't even notice him! [Laughs] No, I was really impressed. I had no idea that he was going to stick around. I just didn't think he was going to stick around until Roscoe came to me and said, "Did you hear the trumpet player?" I said, "Yeah, I heard him. Yeah, he's great, man." He said, "What about him coming with us?" I asked Roscoe, "Did you ask him already?" He said, "Yeah, and he said 'Okay.'" So I was elated. I still didn't believe that he was going to join, because I'd also learned that his wife was Fontella Bass, and she was hot. BOWIE: And I had a Bentley, so they couldn't believe I was joining the AACM. I would pull up to the AACM meetings in this like really hip Bentley! FAVORS: Yeah, he had this Bentley and stuff. But he came on in and stuck. TP: Well, it takes all kinds to make a unit. TP: Wilson Junior College was a place where many people who became very prominent in the AACM attended. Apart from Malachi and Roscoe, Joseph Jarman and Henry Threadgill went there. What was the music curriculum like? Did it have a big impact on you? FAVORS: No, it was just basic music. In fact, Mr. [Richard] Wang, one of our professors, he's still around, and he's always in a sense bowing to us for turning him on. TP: That must be a very interesting thing for a teacher to have all these young musicians start turning world music around. FAVORS: Yeah, well . . .
FAVORS: What sort of gigs did Roscoe Mitchell have in Chicago in the mid-1960's? Were the established clubs in town accepting of the music? Were you having to set up your own gigs? How did that work? FAVORS: The Beetle, right-right. We went down on Rush Street, and got a job; it was Lester, Roscoe and myself. FAVORS: Yes, it was just the trio at this time. And we got fired the first night! However, a fellow came up to me a week or so later, and he said, "Man, I heard you all down there on Rush Street. What was that music you're playing?" He said, "Man, it got to me." And that built me up. All wasn't lost. Here was somebody who heard the music and really liked it. BOWIE: Remember the time? There was one time we were getting gigs, and we were gigging around Chicago with this same trio. And we got about five or six gigs all over Chicago in different places, and we were getting fired after each one of those gigs. We got fired! Each time we got fired. But the music would be smoking, and we couldn't understand why they were firing us. I mean, we were playing like "No Business Like Show Business." I mean, we would put these hip suites together which would have some standards in it, but some would be out; but really a club set that we thought should have been acceptable because it was a . . . But I guess because we turned it into a suite or something, I don't know, but we would get fired every night. But we always got paid. So when we figured it out, we'd just like get five gigs a week, we'd get fired every one, but at least we'd have work those five nights! TP: When did the little instruments start getting incorporated into the arsenal of the Art Ensemble? FAVORS: Well, I think I started from an African influence. As I told you, I saw this African ballet, and I just felt that this music belonged in jazz, in so-called jazz. I remember once I came in, we were going to have a concert or a rehearsal or something, and I came with these little instruments, and Roscoe asked me, "What are you going to do with that, man?" I said, "I'm going to play them in the concert!" And from then on, after that, we just started elaborating on little instruments. Pretty soon Roscoe and Joseph and Moye, they were little instrument kings! TP: Was there an African music community in Chicago of any consequence, in terms of learning the qualities of the instruments, or again was it a process of self-exploration for you? FAVORS: Self-exploration. At that time, I didn't know of any. BOWIE: I'm sure there were some Africans there, but there was no African community like there is a Haitian community here or something like that. The only Africans were us. TP: Well, let's hear what the band sounded like. Because in 1966, 1967 and 1968, the Roscoe Mitchell Sextet and Lester Bowie and Joseph Jarman, with Malachi Favors (who did not record under his own name) were heavily documented, or at any rate adequately documented . . . Or maybe not. TP: At any rate, the first recording is on Delmark, the Roscoe Mitchell Sextet, entitled Sound, featuring the following musicians. Four horns, Roscoe Mitchell, Lester Bowie, Lester Lashley, the trombonist and cellist, Kalaparusha Maurice McIntyre on tenor sax, Malachi Favors, bass, and Alvin Fielder who is still active in the music around Baton Rouge, Louisiana, where he's a pharmacist, on percussion. BOWIE: Let me point out an additional sidelight. That day, August 10th, was also the date that my first daughter was born. So I mean, there were a lot of things happening on that day! I think I got arrested or something that day. It was really a weird day! TP: We were speaking before about the years in Chicago and the development of the Roscoe Mitchell Art Ensemble. I guess the next significant milestone for the group was your incorporating Joseph Jarman, who had been going in his own direction and was working with his own ensemble into the group, I guess, around 1968. BOWIE: Yes. Two of the guys in Joseph's group died. It was a pretty traumatic period for Joseph, and for all of us actually; these two guys died rather suddenly. And Joseph got together with us after that. TP: Malachi, had you hooked up with Joseph prior to his joining the group? Or was it primarily with Roscoe? FAVORS: No, I hadn't hooked up with Joseph until he came into the Art Ensemble. TP: What do you remember about Charles Clark, the bassist who worked with Joseph Jarman? A brilliant bassist by all accounts and by his recordings. FAVORS: Oh yeah, he was a great young bassist. TP:	A few words about him. FAVORS: Well, he was just great. He had everything happening for him. I noticed that sometimes we'd jam together, and he would pick stuff up like that. He was great. BOWIE: It was really a shock when he died, because Charles was really like the epitome of health. He rode a bike and ate vegetables and did the whole scene. When he dropped it was really a shock, because he just dropped dead at a subway stop. TP: Christopher Gaddy, the pianist, had heart trouble. BOWIE: Well, Christopher had been sick. He had been in ill health for a while. He had been sick, so we knew he was sick. But Charles, just like all of a sudden somebody calls me up and says, "Charles is dead." It was unbelievable. TP: How did the group start to change its focus after Joseph Jarman came into it? What qualities did he bring in that hadn't been there? BOWIE: Well, we had done quite a few concerts together anyway, before he formally joined the group. We had been working together. As a matter of fact, we had done big things with his group and our group. We used to have some quite interesting programs in the AACM. You wouldn't believe some of the combinations of individuals and instruments that we had. But anyway, getting back to Joseph . . .
BOWIE: I mean, we would have concerts that are just hard to describe. We'd have Joseph in Roscoe's band and in Braxton's band, and just so much excitement, so different. I remember the first festival we did. We hooked up with the guys from St. Louis who formed an organization similar to the AACM, from our example -- they started a group called B.A.G, Black Artists' Group, in St. Louis. There was another group in Detroit. So we started having exchange concerts and having our own mini-festivals. I remember the first time that the St. Louis guys came up, and the Chicago guys were kind of chesty, "Hey, we got this down" -- we were kind of chesty. Hey, Lake and LeFlore and Scrooge, they came up, and they was like walking all over us. Hemphill . . . They were walking all over the AACM cats! It was so exciting, just the music . . . To hear so many people within this so-called . . .
That's why Malachi says "so-called free." People, when they think of free music, they just have one thing in their mind, [sings incoherent line], and that's all that happens. But there's so much more expression and emotional depth in that sort of music. And when they came up, it just kind of shocked everyone just to realize just how great musicians are wherever they happen to be from. They don't have to be from New York or Chicago, or you don't have to have ever heard of them -- and they are just outstanding. TP: I think one thing that impressed a lot of people who were impressed by the new music in the Midwest was the level of structure and layering on of structure into the music. BOWIE: Well, what we did, we felt free to express ourselves in anyway that we thought of. If anyone had an idea, we'd try it. It wasn't like, "Oh, man, we can't do that; that's not jazz" or something similar to that sort of thought. "Oh, man, we can't play that; there's a tempo there" or "we can't play that; there's no tempo there." We were just kind of open to every possibility, every idea someone had. TP: Did Jarman help in terms of bringing in the theatrical aspect of the Art Ensemble? BOWIE: Yeah, he was part of that. And also his spoken words. Joseph is also quite a poet, and he brought that sort of approach. TP: He'd already recorded "Non-Cognitive Aspects Of The City" and things like this. BOWIE: Yes, and he brought that thing into play. I mean, he brought his personality. I think the easiest way to say that is that he added another dimension because he was another person, and he put his personality into what he was doing. TP:	And a very strong personality. TP: Who could stand up to people like Lester Bowie, Malachi Favors and Roscoe Mitchell. 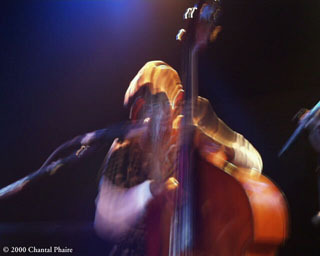 TP: In 1969, the Art Ensemble packed its bags and laid down some roots in Europe, in France, and traveled around Europe. I'd like you to talk about that decision to leave Chicago and go to Europe, and the circumstances by which you carried that out. FAVORS: Well, at the time, Lester again was becoming quite restless, and he came to us and said he was going to get a trailer and take his family, and move them to a trailer, and just travel up and down the road. So I listened, and we didn't know what was going to happen. 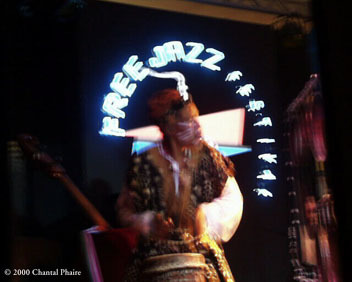 The AACM got a letter from Europe, from a person by the name of Claude Delcloo, a drummer, a French drummer. He wanted the music to be brought to France. However, he didn't have any money to bring us there or anything. So at one of the AACM meetings Lester got wind of this and came up with the idea that he would finance the trip to France for the Art Ensemble. And that was the beginning of it. TP: Did you foresee, Lester, how you would then start making your way through France? Did you know people there, for instance? BOWIE: No, we didn't know anyone. BOWIE: Except Delcloo. But we had come to an impasse. We were working in the States maybe four times a year, which is about what we're still doing 30 years later! But we were working about four times a year, but we were rehearsing every day, and we had really come upon something that we felt we could dedicate our lives to. I mean, I couldn't dedicate my life to being an r&b trumpeter, Malachi didn't want to just work at the Holiday Inn for the rest of his life. And we had a group that we knew had a unique sound, a language of our own, and we knew we had something to contribute to the music, and we wanted to do that exclusively instead of, you know, I'd do a gig with the Art Ensemble one day and the next day Jackie Wilson. I wanted to do all Art Ensemble. That was impossible for us in the States, for us to be able to sustain ourselves and our families off of what was happening in the States. So we said, "Let's go to Europe. We'd read in the magazines all the reports of how Europe was more accepting of the music. And immediately . . . I think we were in Europe three days, and we were working six nights a week. And within a year, we had done two hundred concerts. TP: Well, there are at least a dozen records that came out of the two years in Europe. There was a very large community of American musicians living in France when you got there, and different members of the Art Ensemble participated in recordings by different members of that community in all sorts of configurations. BOWIE: There was Archie Shepp and . . .
BOWIE: . . . Hank Mobley, guys I had dreamed about -- we were all there playing together. Kenny Clarke, Art Taylor. It was a quite exciting period. FAVORS: Yeah, they accepted us. BOWIE: And they accepted us, no problem. TP: Everybody was open to what you were doing? FAVORS: Frank Wright, the great Frank Wright. TP: Arthur Jones and Jacques Coursil and all . . .
TP: One thing that seems to have been important in the way the Art Ensemble has developed over the years is... This may seem like it's coming a little off the wall. But the military background of several of the members, Jarman, Bowie, Roscoe, and were you as well, Malachi? TP: Would you talk about that? Is there something to that, that it helped you in terms of your self-sufficiency or ability to really make your own way through the wilds of the business? BOWIE: Oh, definitely. I mean, if we weren't veterans all used to soldiering, I don't think we would have survived all this time. I mean, all that we learned in the military . . . There's a lot that you have to learn when you're fighting this battle of music, which we are still fighting. So we're soldiers, and that training really helped us. FAVORS: We got the discipline. It helped discipline you to problems and hardship. When I go back to the Army, getting up every morning at 5 o'clock, soldiering -- it was so hard. Sometimes I'd cry because it was such a routine. But at the same time, it was building me up, building my discipline up and my manhood. And it enabled me to go through quite a few things that we went through out there on the road, just going up and down the road, traveling to California, no gigs, just packing up, going . . .
TP:	That was before you went to Europe, right? Around '67? BOWIE: I mean, we've lived in tents, we've lived in barns . . .
BOWIE: . . . we've lived in the trucks . . . I mean, we've had all the camping equipment. All that bivouacking we did in the military helped us go through all of these things we had to do to keep this band alive. TP:	Specifically, Malachi, the years you were in the Army were like out of high school or something, like '55, '56, '57? FAVORS: Yes, you hit it on the head. TP: Did you play music in the Army? FAVORS: I had a cello that I took with me, and I tuned it like a bass. All the time I was training, after I'd come back off of the field, I would go get my cello. TP: But you weren't in a band. FAVORS: I was a soldier all the way. TP: Did you play off-base at all? FAVORS: Yes, I got to play some gigs with a piano player, Don Green. FAVORS: Camp Adderberry, Indiana. We played at the PX, the orderly room or whatever they called it. TP: Europe is also where you encountered the fifth member of the Art Ensemble, Don Moye. FAVORS: Yes. But just before you go over there, I'd like to mention a couple of members in the Art Ensemble, what their service job was in the Army. Lester Bowie was a military police... [Laughs]. And Joseph Jarman was a paratrooper. FAVORS: Uh, I don't know. BOWIE: Roscoe was in the band. FAVORS: He was in a band? BOWIE: Roscoe was in the band, yeah. FAVORS: He was the only one who functioned as a musician in the Armed Forces. TP: Back to Don Moye, now. He met up with you in 1970, I guess, in Paris? TP: Were you working in a drummerless situation all the way through there, or were you picking up a drummer here, working four pieces there? BOWIE: Well, we basically worked without a drummer, and every now and then we would sort of audition a guy, and take them out to maybe a gig or two to see if they could fit in. TP: What would it take for a drummer to fit in with you? BOWIE: Well, it wasn't about what it took. They would either just come and fit in or they didn't. It wasn't about that we had a list, "Okay, man, did he do this?" or "How was he?" It was just an automatic sort of spiritual thing. I think the spiritual part of the music has really been neglected. And the Art Ensemble, aside from all the military training and this and that, is a very spiritual sort of group, and we do a lot of things that the spirit tells us to do. And the spirit just says who's right and who's not right. They just come in. Moye came in, and it's 25 years and he's still here. TP: He brought a lot of business type attributes to the ensemble as well. TP: Well, I think the Art Ensemble has always embodied a combination of the spiritual aspect and a very pragmatic side in terms of organizing the music and preserving yourselves as an entity. Because there are very few groups in music that have been together as long as the Art Ensemble. During the time that you were really active as a group, which is about a 20-year period, there are very few precedents for that. Let's hear some recordings that represent the Art Ensemble in their European period. There are so many to choose from and so little time to do it. We'll hear "A Jackson In Your House" from 1969. Lester, you believe that's the first recording you did in Europe. BOWIE: This is the first recording that we did in Europe, yes. TP: You just heard a performance of Lester Bowie's "Zero" by the Art Ensemble and the Deutsche Kammerphilharmonik in Bremen, Germany. Is that a smaller symphony? BOWIE: That's the name of it. Actually, it was augmented by some more brass pieces, so it's not just a chamber orchestra. TP: So there are four Art Ensemble compositions and two commissioned pieces featuring the Art Ensemble. BOWIE: That's right, featuring the Art Ensemble. TP: Earl McIntyre is responsible for most of the arranging. BOWIE: He did all of the Art Ensemble arranging. TP: Who did the arranging for the orchestra? BOWIE: That was by the two German composers. TP: That's from 1993; it's to be released on CD by one of the divisions of BMG. That was part of a lengthy feature television show in Germany on the Art Ensemble. TP: Preceding that we heard "Proverbes 1," from Les Stances A Sophie, a movie soundtrack by the Art Ensemble, a film I have yet to see, on Nessa, recorded in Boulogne on July 22, 1970, and the first recording featuring Don Moye with the AEC. It seems like you did about four records that week. BOWIE: We were really quite active. You can imagine, coming from the States where we were completely inactive, and then to go to Europe and get so much work was overwhelming. TP: The Art Ensemble came back to the States in '71, and basically things hadn't changed much; maybe they'd gotten a little worse. BOWIE: I read something from someone who was interviewed. They asked him, "What about Europe?" He says when he goes to Europe he's an American idol, but when he comes home he's just another idle American. It's really a shame. The States is missing so much music, it's unbelievable. It's just unbelievable how much music we are missing that we are creating! But we are missing all the artistic and cultural benefits; we're just throwing it out the window. TP: Also, the members of the Art Ensemble started to pursue their own interests. Lester spent time in Africa and in the Caribbean, and everyone explored different areas. Yet the identity and artistic weight of the Art Ensemble just grew and grew and grew, as is evident on a slew of recordings made between 1972 and the mid-1980's, which we don't have time to go into now. Then in the mid '80s you embarked on a recording contract wherein you got production rights and total control over a whole series of recordings via DIW Records. That's the next material we'll be hearing. We would need a good 24-hour bivouac to give the Art Ensemble the justice it deserves. But a few words about this series of projects and how it came together. BOWIE: First of all, we have had ideas for the last 30 years that we have not been able to really deal with. There are a million projects we wish we could get into that we haven't really had the opportunity to develop, like for instance, the thing we just heard with the symphony orchestra. In the 1980's, the Japanese gave us a contract to produce whatever we wanted to. It kind of gave us an opportunity to just touch some of the things that we really wanted to do. And one of the things that we wanted to do was a collaboration (and I must emphasize, a collaboration) with some South African musicians. We contacted this choir called Amabutho, which lived in London and South Africa, and we got together, and we just had an artist's collaboration. I want to point that out, because it's not just us playing and some South Africans playing. I mean, we actually worked this out together. We brought the guys here to the States, we rented a big house, and we just rehearsed and had great dinners for the next two months, and we put this music together. So it was really quite enjoyable for all concerned. TP: Other projects included a collaboration with Cecil Taylor, a recording matching Brass Fantasy with the Art Ensemble; a beautifully recorded, rigorous session called Naked from 1986; Ancient to the Future, you went through a series of covers of very meaningful tunes from so-called pop music, reflecting your experiences. TP: In that regard, I'd like to bring back the point that you all continue to function as musicians outside of the Art Ensemble. Or was there a time when it was exclusively the Art Ensemble? BOWIE: No, that was part of the plan. See, we decided, when we began, that we would be together 30-40-50 years later. TP: That was the marriage. BOWIE: That was it. But we knew that we had to . . . We didn't want to limit anyone's growth. We didn't say, "Well, you have to play .only with the Art Ensemble," because you can't grow that way. We encouraged everyone to go out. We used to call the Art Ensemble "OCS," which in the military means Officers Candidate School, where you train officers. We trained bandleaders, so that each one of us were able to know all the functions of carrying a group around, and to take that experience to other groups of musicians. In turn, you learn from that experience. I mean, we take our experiences with the Art Ensemble to our individual groups; we in turn get this experience back, and we bring it back to the Art Ensemble, which enables us to keep growing in all ways. TP: Now, the Art Ensemble has incorporated world music always in its programs. Malachi was talking about the beginnings of that, seeing the African ballet troupe. I think that was really able to come to fruition in this series of recordings in the 1980s. BOWIE: Well, the whole world music concept -- we were always into world music. I mean, the AACM was into world music long before anyone was really talking about it. I think we really started the emphasis on that sort of thing. TP: Malachi brought the African music in, Jarman has always been interested in the musics of various Asian cultures. It's an amazing blend. FAVORS: Also, Don Moye had a hand in bringing in the tradition and the technique of African music. My thing was just the spirit African. Seeing that I am African-American, I just came from the spirit form of the music. But Moye knows the technical form of African music, and has been to Africa. TP: He was up here in 1987, and brought many tapes featuring him performing with different ensembles in Africa. We'll hear a selection from Art Ensemble of Soweto, which joins the Art Ensemble of Chicago with the Amabutho Male Chorus. BOWIE: All these guys are really great musicians, and really great guys. I keep going back to the spirit involved in this music. It's the person. We really had a great time collaborating with these guys, because we lived together and we had fun together. You can hear all of that in the music. TP: Lester, there's a nice anecdote of how you hooked up with Fela in the 1970's. BOWIE: I had wanted to go to Africa for years. You know, you see "Roots" and you want to go to Africa. The Art Ensemble had been trying to go to Africa. We were working with the French Ministry of Culture, and they would send us everywhere but Africa. We knew they had a ministry in Senegal, they had ministries in Martinique and Guadaloupe, but they would never send us there. And we tried many years to go. So finally, I just decided "I'm going to Africa," and after one of our tours I just went. I didn't know anyone in Africa. Now, I think Randy Weston gave me Fela's name. He said, "Well, if you ever get there, check out Fela." So I went to Nigeria on a one-way ticket. I didn't have a way to get back. I had $100. And it cost me $50 to take the cab to get to the hotel. I had 40 bucks left. I had enough money for the room and a meal, and I didn't have any more money. I had just arrived about 10 o'clock at night, and I had to leave by check-out time. I didn't know anyone. So I went to the restaurant, and the kitchen was closing, and I got to talking with the waiters. They said, "Well, you're a musician..." They couldn't believe that I was like... "Here's this American, and you're just showing up? You don't have any money or nothing? You're out here with this trumpet? I don't believe it." So anyway, they said, "Well, you'd better go see Fela." So I went to see Fela. The next day I got up and I said, "Well, where does he live?" They said, "Just get in the cab and just tell the cab driver to take you to Fela." So I got in the cab and said, "Take me to Fela." Fela at that time had just been kicked out of his house. His house had been burned down by the soldiers; this was right after that. So he had taken over this hotel. We pull up to the courtyard of his hotel. This little guy comes up to me as I get out with my horn. He says, "Hey, what's that?" I said, "It's a trumpet." He said, "Where you from?" I said, "New York." He said, "You play jazz?" I said, "Yeah, I play jazz." He said, "Well, you must be heavy then." I said, "Well, a little bit." He said, "Well, you've come to the right place." I said, "Why is that?" He said, "Because we're the baddest band in Africa." So from that moment on, he took me to Fela, and Fela... [Laughs] It was funny. They had to wake Fela up. They woke him up, and Fela came in, and he said, "Oh, who is this guy?" He motioned for a guy to bring his record player, and he had some of those Jamey Aebersol type records, then he motioned for another guy to bring in his saxophone. So he put on this blues, a blues in B-flat, which is my specialty, right? So I played this blues, man! One way ticket, you know I was blowin', baby. After I played a couple of choruses he said, "Stop. Somebody go get this guy's bags. He's moving in with me." So from that moment on, I was Fela's guest of honor. I made three records with him, and it was quite an experience. TP: "African Woman" is a composition by Elliot Ngubane of the Amabutho Male Chorus with an arrangement by the Art Ensemble of Chicago, from a 1989-1990 recording session for the DIW label produced by the Art Ensemble of Chicago. For this date they were the Art Ensemble of Soweto, Chicago crossed out. We have probably one more piece to play for you from an event in 1993, recorded for German television, a version of one of the Art Ensemble's favorite compositions, Roscoe Mitchell's "People in Sorrow," which was recorded in 1969 in France and originally issued on Nessa Records. Malachi Favors, what's special about this composition to the Art Ensemble? It keeps taking on new identities and permutations over the years, and I've often heard you play it. FAVORS: When music is spiritual, when music is heavily spiritual, you just can't explain it. I don't have the words. Maybe Lester can explain it. TP: Lester often does have words. BOWIE: "People in Sorrow" is sort of a statement of our condition, and how we feel about people that are oppressed. I think it's kind of a song for the oppressed which kind of tells about our sorrow, but also gives hope for the future. But it really shows just how sad the situation is in the Third World and in many African and Hispanic and different communities. It's not a happy situation. And "People in Sorrow" is about that. It's about people in sorrow. TP: Now, you've been saying that the Art Ensemble of Chicago came together with the idea of being together for 30-40-50 years, and now indeed it's 24 years with the current configuration, Malachi and Roscoe have hooked up for 30 years, and Lester's been in for 28. FAVORS: No-no. Lester came in in the fall of '65. BOWIE: It will be 30 years next year. TP: Do you see another decade? Is the level of commitment still there? BOWIE: Oh, yeah, as long as we live. I mean, I don't know how many more decades we're going to be alive. TP: Well, in an ideal situation. BOWIE: Well, in an ideal situation, yeah, we'd be together 50 more years -- ideally. But that's not the case. But we'll be together as long as one of us is still alive to carry on the word, until the last of us bites the dust. TP: Let's say you're playing a program of three nights in a club, say two sets a night: how is the material picked for suites? Everybody has a few dozen compositions, you have a huge backlog of performance material and history to draw on. Is it set up beforehand? Are you rehearsing a set body of material before you're going out and performing? How does the Art Ensemble select its material in performance? BOWIE: About 10 or 20 minutes before we go on the stage, we say, "What do you feel like playing?" and then we just play whatever we feel like playing at that particular time. TP: Does it just take its own shape? Is it improvised out there? BOWIE: Well, we put a basic sketch in our minds of what we may want to do, what tunes we may want to cover, but at the same time we don't limit ourselves. We will play a song that we haven't said that we were going to play, and we've conditioned ourselves, if something comes up, to go with it. You go with the flow. You don't say, "Hey, man, we're not supposed to play that this set." You just kind of go with the flow. So we kind of put a sketch, but we leave that sketch open to change. TP: Are there set instrumental combinations, say, Roscoe and Jarman are going to do a solo, Malachi is going to play the balafon, Moye is going to . . . Or does it just come up on the spur of the moment? BOWIE: No, we do that sometimes. Yeah, of course. We get situations where we say we're going to do this, or we're going to start with this instrumentation. I mean, we write songs for all of those instrumentations. For every little bell, we've got the note of that bell, and every little stick and everything -- we've got these things. So we set up situations. TP: How about the ritual aspects of the Art Ensemble? In other words, the aspects of ritual that you elaborate in a live performance. The one thing that's really missing from an Art Ensemble record are those set up beforehand. BOWIE: Oh, yeah. Well, it is a ritual. I mean, we try to prepare ourselves mentally to perform. I mean, this is the epitome of what we do. When we go on the stage to perform, we are there for that moment only, and we try to spiritually condition ourselves to be open to receive whatever conflicts may happen, and shoot our way that particular evening. TP: I guess after 30 years you can pretty much read each other's minds. BOWIE: It's not so much about reading, it's about kind of going. You don't so much read the mind, but you're willing to accept. Malachi can play one note of something, and if it's working, it just flows. I don't know how to describe it. But everything isn't planned out. I mean, sometimes we go on the stage with no idea. We have what we call "stoop and hit," which means just hit. We ask, "Hey, what do you feel like playing?" Nobody says anything. "Well, let's just stoop and hit." And we go on out there with no idea what we're going to play. TP: Malachi, you looked like you wanted to say something about 30 seconds ago. FAVORS: Lester said what I wanted to say. We just open ourselves to the spirit of the music and play. We received something to give to the audience. BOWIE: We're not always successful, now. We don't want you to think that, oh, everything we play and everything the Art Ensemble plays is gospel -- because it isn't. But we are experimenting and we're trying things. Some things work, some things don't. That's life. TP: So after 30 years, you're still experimenting and still looking for new ways.